I want to write today about something that has really been on my mind a lot this last year. I feel it is a very important message to share. I am kind of stepping out of my comfort zone (talking about my kids, sharing recipes and DIY haha)…..but I really hope you enjoy these stories! 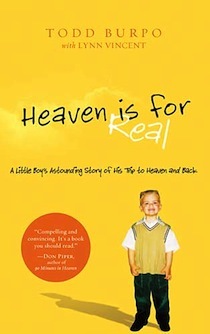 A lot of you have probably read the book Heaven is for Real by Todd Burpo. Colton said he met his miscarried sister whom no one had told him about, and his great grandfather who died 30 years before Colton was born, then shared impossible-to-know details about each. He describes the horse that only Jesus could ride, about how “reaaally big” God and his chair are, and how the Holy Spirit “shoots down power” from heaven to help us. Told by the father but often in Colton’s own words, the disarmingly simple message is heaven is a real place, Jesus really loves children, and be ready there is a coming last battle. I highly recommend this book for ANYONE! I couldn’t put it down. I finished it in half a day. I think one of the main reasons I was so intrigued by this little boy’s story is because my family has a similar one. One that I want to share with my friends and blog readers…. The following is something that was read at my cousin Ryan VanderMolen’s funeral. He passed away before I was born. I grew up hearing about his dream and other funny, heartwarming stories about my cousin’s short time here on earth. I can’t wait to meet Ryan in Heaven! “Our son died Thursday upon returning from kindergarten at the Immanuel Lutheran School in Waterloo, Iowa. Ryan got off his school bus, walked a block on the sidewalk and began crossing the street in front of another stopped, off-loading school bus. When he was in front of the bus, the vehicle struck him down when restarted, causing fatal head injuries. We would like to share Ryan’s dream with you. Ryan had talked of heaven to his parents on occasion, but always with reservation, “I would miss you and you would miss me,” he said. That afternoon Ryan was killed and his dream came true. The Lord had come to take Ryan unto Himself. We grieve and hurt deeply, Jesus did also. “The Lord gave and has taken away, blessed be the name of the Lord.” Job 1:21. – Gary and Barb VanderMolen. My cousin Brett was born fifteen months after his brother Ryan’s death. In Brett’s 2000 high school junior year, Brett wrote in a life history project that two people died for him: Jesus Christ and his brother Ryan, of whom he’d seen neither. Brett thought his family might have remained complete with only Ryan and Megan. He was only so young. that he shared with his tongue. he heard angels that sung. and the look on Your face. to be in Your grace. many don’t have a clue. for Ryan it was two. I am not sure how it happened that I live in Iowa Falls and I had no idea about the next mom’s story! Our town is so small and usually stories like these travel fast. But for some reason God didn’t want me to hear about it until months later…. Mary Swick called up my mom’s Christian Bookstore back in December while I was working one day. I was not suppose to be working and had actually switched days with other employees two times. (God doesn’t make coincidences, I was meant to be working that day!) Mary called to see if our store would carry the book that she was about to have published. I began asking her questions about the book and she told me about her son Justin that had passed away of SIDS at 3 months old back in August. She also told me about her son Riley that had began telling them stories about the night Justin died. Riley kept telling them he saw Jesus and an angel in the room that night. He also told them they shouldn’t be sad, they should be happy because Jesus took Justin up to heaven. Riley even told them stories about heaven like he had been there. Mary shared this story on her Facebook page back in August and had a bunch of people tell her to read the book Heaven is for Real. Of course, she couldn’t put it down and finished it in a few hours. Mary was so glad she read the book when she did because it helped give her a road map on what questions to ask her 4 year old son. She didn’t want to lead him to a certain answer but wanted to know more about what he had seen in the room the night their baby boy had died. She wanted Riley’s story to come out in his own words. During this time Mary began writing a blog. Click here to read her blog. (And grab a box of tissues while you are at it) She talks about her family’s tragedy and writes more of the accounts that Riley has shared with them over the last five months. But, what I love reading most is about how her family’s faith in God has grown exponentially in the few short months since Justin’s death. She is so very candid about her pain, sadness and even her joys! Mary decided she wanted to help other families heal from the loss of a child. 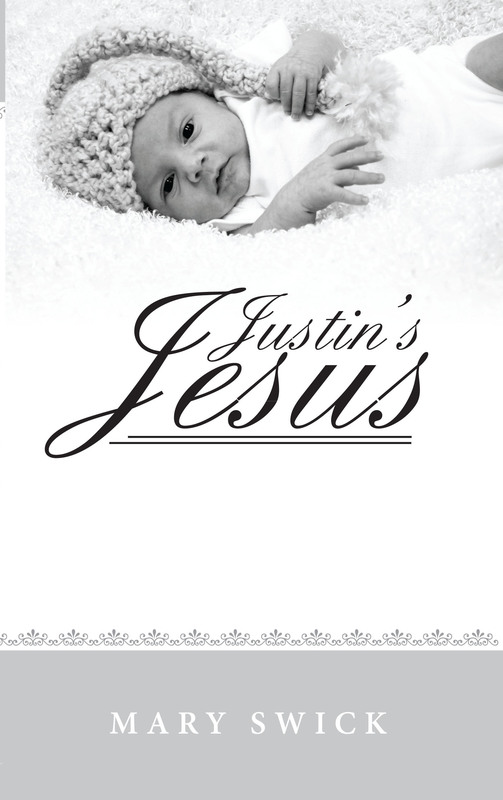 I am not sure exactly how it happened but she began using some of her blog posts to write her book Justin’s Jesus. She also put stories in her book that she hasn’t shared yet and were very hard for her to write about, like what happened the day Justin passed. It has been published by WestBow Press. Mary is very adamant that this book is for her family and friends and if it helps other’s along the way then that is what God wanted. Even if she only helps ONE other family, it is worth it. She wants other families to know that in losing a child you can find hope, because you will one day see them again in Heaven. That is what gets Mary through each day. She wants others to find that same comfort. I was so touched by Mary’s story and she was gracious enough to get off the phone with me and immediately send me a copy of her manuscript. I.Could.Not.Put.It.Down! Again, I finished it in a few hours, bawling my eyes out the entire time (ask my husband haha). I have only met with Mary a few times but she is such a blessing! I hope that her and I have many more years of friendship because it is so refreshing talking with her! If you live in Iowa Falls my mom’s bookstore The Living Well is taking orders right now for it and it will be available in about a week. Call 648.3611 to get your name on the pre-order sheet. I guess you could say I have kind of made it a personal mission to help Mary get the word out about her story, in hopes that it will help other families dealing with loss or even help those that are questioning the reality of heaven. I think all three stories have remarkable similarities! The message is simple. I grew up my entire life being scared of death. When I was young I hadn’t faced much death yet but like my cousin Ryan I knew I would miss my family and friends if I were to die. In high school and college I didn’t want to die because I still had so many goals left to accomplish: my degree, finding a job, getting married, having children of my own. Reading Heaven is for Real was amazing for me. It really validated my cousin Ryan’s story. My family has believed this story for 30 years, but to have other children’s accounts of Heaven is very reassuring. Hearing Mary’s story was no coincidence either and has made me realize how much we need to be a WITNESS for Jesus. Even if we haven’t had glimpse of Heaven, we can still share our story. I can now say from my strengthened relationship with Christ, studying and praying His word, and also from reading the books like I mentioned above: I AM EXCITED! I can’t wait to go to Heaven. Are you kidding me?! I get to see JESUS FACE TO FACE! There is no pain and suffering. What a glorious place it will be……We can’t even begin to imagine! This entry was posted in About Faith & Family and tagged book, christianity, family, God, Heaven, Heaven is for Real, Jesus, Justin's Jesus, stories about Heaven. Bookmark the permalink. 1 Response to Heaven IS Real!